GIFT WRAP SERIES #3: POCKET WRAPPING FOR VALENTINE’S DAY. To achieve the above look, I used classic paper, chiffon ribbon and the Valentine’s were made from glitter paper that we made ourselves. package in pink paper, then for the second pocket layer: a cloudy glassine type paper. tying it in back. Cupid’s arrow! Let’s get started:First, size your paper to the box. Next, add about 4 extra inches to the desired height (see middle top). (This is very important because this is where you’ll acquire the room you’ll need for the pocket.) Lay the paper out flat and make a pocket fold in the middle of the paper. (see upper right — do you see how the paper is folded in the middle? )Now, lay the paper flat, as you would to wrap a present, as you usually do. 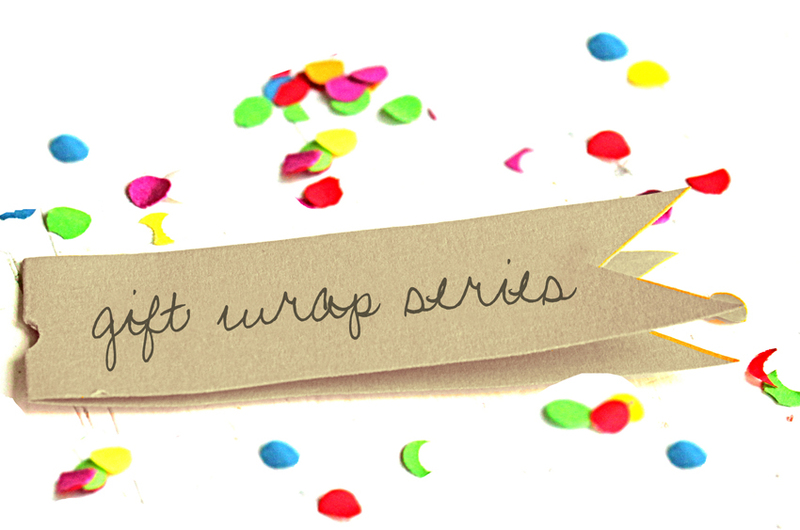 Wrap your present. Once the present is wrapped: Slide your Valentine into this front pocket. Happy Valentine’s Day Wrapping!